The sea call to you in the Total War: WARHAMMER II - Curse of The Vampire Coast DLC which is now available. Featuring new legendary lords, a new school of magic and more! Set sail for new waters as the pirate themed Curse of the Vampire Coast DLC for Total War: WARHAMMER 2 is now available to purchase. This brand new DLC features new 4 legendary lords, 8 new regiments of renown, a unique tech tree, new campaign mechanics, upgradable ships and much more! Be wary of what lurks on Lustria's east coast as the dead wander the lands in search of treasure. Take a look at the new cinematic trailer for the DLC and purchase today for 10% off! 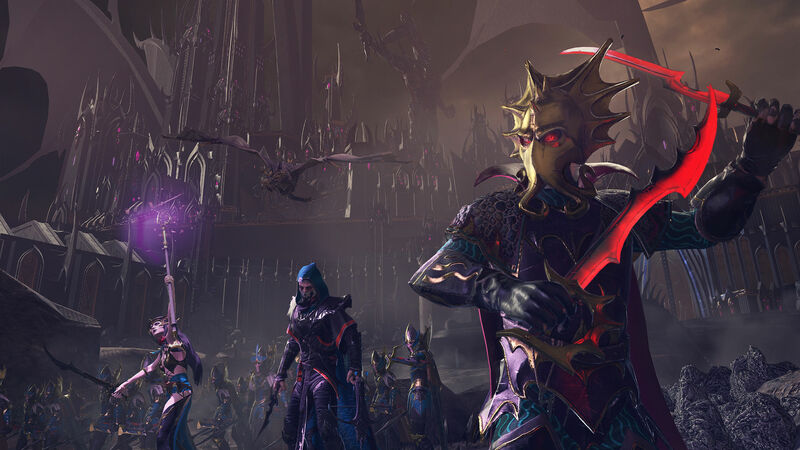 As well as the release of Total War: WARHAMMER II - Curse of the Vampire Coast, a brand new Free DLC is also available with the launch of the Lokhir Fellheart legendary lord. You can pick this up from the Steam Page by hitting "Download". He leads The Blessed Dead Faction and is playable in both Mortal Empitres and the Eye of the Vortex campaigns.